County Limerick village of Adare looks to the future with five-year plan. “There was a positive vibe at the meeting,” said Meriel Clarke, secretary of ACT and she believes it tapped into the positive spirit abroad in the village. The meeting looked at different elements that needed to be included and addressed as part of, and during the lifetime of, the plan. These included infrastructure, enterprise, tourism and community. Accommodation is a key issue in Adare with a lot of new housing now in the pipeline. This includes some 200 new private homes as well as 30 new social houses. Providing the infrastructure to support these will be vital and includes sewerage treatment, a traffic management plan, a new streetscape and adequate parking And the village’s good broadband could open up further possibilities for an innovation hub. The contribution of Adare Manor and the hope of getting the Ryder Cup are positives but developing Adare as a destination hub, for longer stays by visitors will be crucial to any tourism strategy. Enhancing the Heritage Centre will also be part of this. 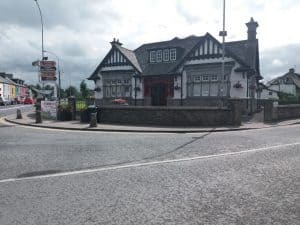 The by-pass is also expected to open further possibilities for festivals to be developed as it will allow the streets to be closed off and aspirational projects such as a footbridge to Adare Castle are to be looked at. Community facilities will also be examined, with the continuing development of the leisure and sporting facilities at Manor Fields a priority along with further works at the Village Hall. Consultants Tom O’Leary & Associates will draw up the plan which is being funded by West Limerick Resources and Mr Neville hopes to have a draft by April. The next immediate step will be to invite people to take part in an online survey or to fill in a hardcopy survey which will be available at the library. The various groups and organisations in Adare will also be consulted within the coming months. “What we want is ownership of the plan by the community, that there is a sense of ownership across the board when the plan is launched,” Mr Neville said. With the kind permission of the Limerick Leader.